Robots are made to perform a set of tasks to achieve a goal. 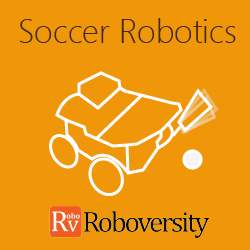 In this workshop, the goal of your robot is to score a goal! The project will be a soccer robot that is manually controlled using switches. By doing it yourself, you’ll understand the basic building blocks of a robot. With hands-on exercises, you will learn about DC motors, DPST switches, batteries and other components inside manual control robots. Anybody interested in Robotics can attend this workshop.